alison lapper pregnant | Abler. The piece is Alison Lapper Pregnant, modeled on the artist Alison Lapper—then at eight months’ gestation—who also has a medical condition called phocomelia. 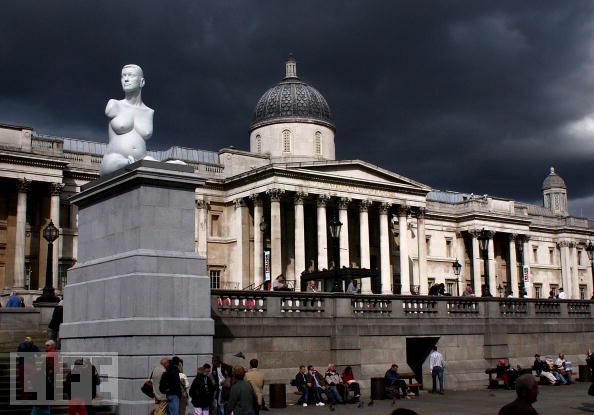 The “fourth plinth” is a platform in the square originally intended for equestrian sculpture but never used as such. It sat empty for many years, and it’s now the site of specially commissioned public works. The square is otherwise populated with memorial sculpture to war heroes, anchored in the center by Nelson’s Column. Alison Lapper Pregnant is about as challenging as old underwear. It is a drab monument to the backward pieties of our age. It shows that we value people for what they are rather than what they achieve. In our era of the politics of identity we seem more interested in celebrating individuals’ fixed and quite accidental attributes – their ethnicity, cultural heritage or in Lapper’s case, her disability – rather than what they have discovered or done in the world outside of their bodies. We prefer victims to heroes. The other three plinths in Trafalgar Square, and of course Nelson’s column in the middle, hold statues that commemorate individuals who did important things: there’s George IV, who was king of Britain and Ireland from 1820 to 1830; Major-General Sir Henry Havelock, best known for capturing Cawnpore from rebels during the Indian Mutiny of 1857; and General Sir Charles James Napier, who was commander-in-chief in India in the 1840s. What you think of these men’s contributions to British history is not important; they are at least recognised for things that they did. 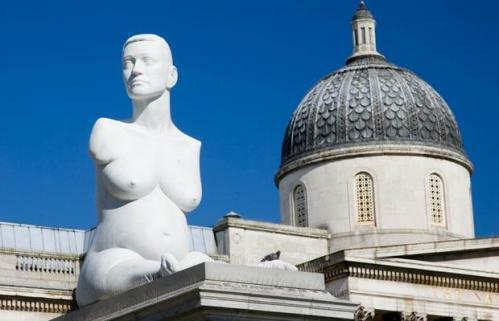 By contrast, the statue of Lapper on the fourth plinth is a 13-tonne celebration of the distortion wrought by nature on a woman’s body rather than of that woman’s contributions to public life and society. 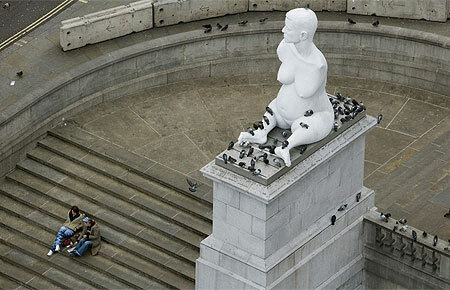 The Lapper statue’s acceptance of fate is clear in the way it clashes with the other monuments in Trafalgar Square. The military men commemorated on the other plinths are shown in military garb and on horseback; they’re depicted in their public roles. Lapper, by contrast, is shown naked, so that those who do not know who she is (and let’s face it, she is not a very famous artist) are likely only to think: “Oh look, there’s a disabled woman.” Where the three military statues commemorate individuals who transformed themselves in the name of achieving some higher purpose, the Lapper statue celebrates one woman’s distorted physicality; where the military statues show men who shaped their own and others’ destinies, the Lapper statue draws the eye towards a naked body shaped by the congenital disorder, phocomelia. 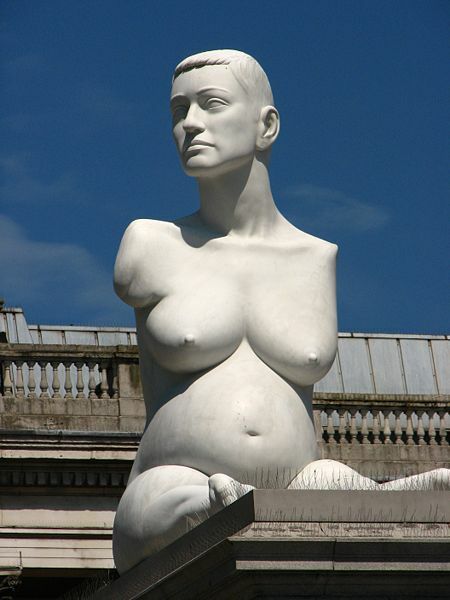 Ironically, this means that Alison Lapper Pregnant is the haughtiest and most elitist statue in Trafalgar Square. Previous post ← a "technology of distance"